What counts as a historical novel? Good question. Coursera offer a (free) on-line course called Plaques, Witches and War: the worlds of historical fiction and the presenter, Professor Bruce Holsinger, suggests that we could start with the definition of historical fiction that it is ‘a genre of imaginative narrative set in the past whose authors make a deliberate effort to convey chronologically remote setting, cultures and personages with accuracy, plausibility and depth’. Well, that’ll do for now as far as I am concerned. I enjoy reading historical fiction, whatever definition we slam onto these books, in particular Hilary Mantel’s books on Cromwell. 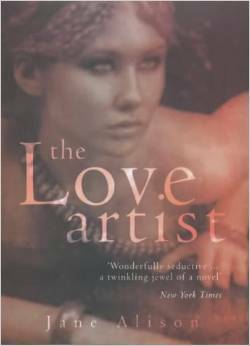 This course also lists a number of books that are discussed in greater detail by their authors (in seminars) and one of these novels is Jane Alison’s ‘The Love Artist’. I read it in two days and couldn’t put it down. It’s a well written, very imaginative book about the Roman poet Ovid, which tries to fill the gap in our knowledge about the reason why Ovid was banned from Rome by the emperor Augustus in 8 BC to a remote coast on the Black Sea. No one knows why he was banned and why Augustus refused to let him return. What did he do that so upset the emperor? After all, he was a well-known poet, even if his earlier works were somewhat racy and upset the emperor’s sensibility with his poems about The Art of Love, etc. The first chapter of the book tells us how Ovid is taken away from his house in Rome and taken to a ship that transports him to the Black Sea. We don’t understand why. The second chapter relates how a year before Ovid travelled to the Black Sea when he wants to escape Rome for a holiday, away from Augustus who so disapproved of his ‘the Art of Love’. Even in that first chapter we realise the amount of research that was done: the geography of this trip, from Rome, via Athens (with ruined statues which makes Ovid think that he wants something more pristine, more primeval) to Troy (‘the very name made him feel tired’), continuing through the Dardanelles, the Marmara, through the Bosporus to the Black Sea. Wonderful descriptions. At the Black Sea he finds Xenia who lives up the coast from Ovid’s ship. She has ‘glassy hair’ and she his busy writing her accounts. Very briefly, they fall in love, each having something that the other one needs, and Ovid takes her back to Rome where he sets her up in his house and ‘feeds off her’, to write his next masterpiece. It’s a terrific book that evokes the characters as real present day characters, they’re as alive now as they were then, compelling and charismatic and palpably real. There’s drama, jealousy, rage, betrayal and ultimately Ovid’s exile, as well as the exile of Augustus’ granddaughter Julia who has good reason to be an appalling character, given what she is used for by Augustus. In an on-line seminars Jane Alison discusses the research she carried out in order to create the reality of daily life in Rome, how she walked along the Palatine to find a spot for Ovid’s house (we don’t actually know where it was) and studied furniture etc. She’s done a great job of it and I was heartened by her comments how an author can’t help but use her own background and relationships in order to help create the sense of jealousy, of need, love and reality. A great book to read even if you know very little about Ovid or his time – this is a historical novel with real characters and lives and you cannot help but be drawn into the drama as it unfolds and eventually paints a very believable story of what might have happened and what could have been the cause of Ovid’s banishment.